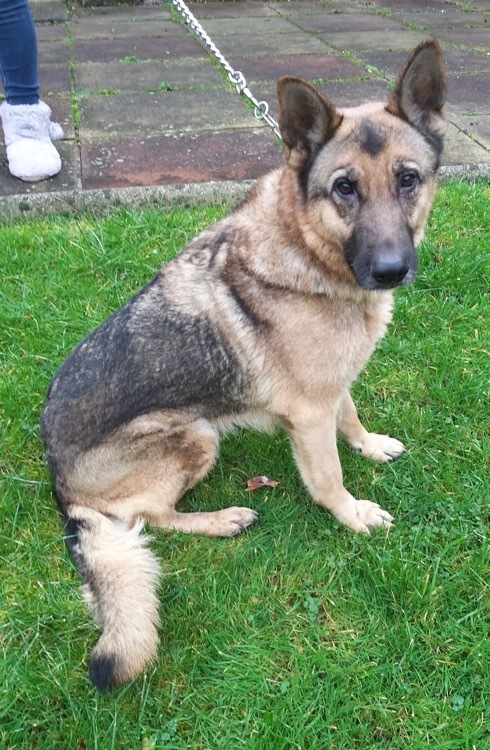 This beautiful girl is Candy a 7 year old, entire female German Shepherd looking for a new home due to her current owner moving in to a property that she cannot go to. Candy is a sweet girl who initially barked at our volunteer but soon settled. 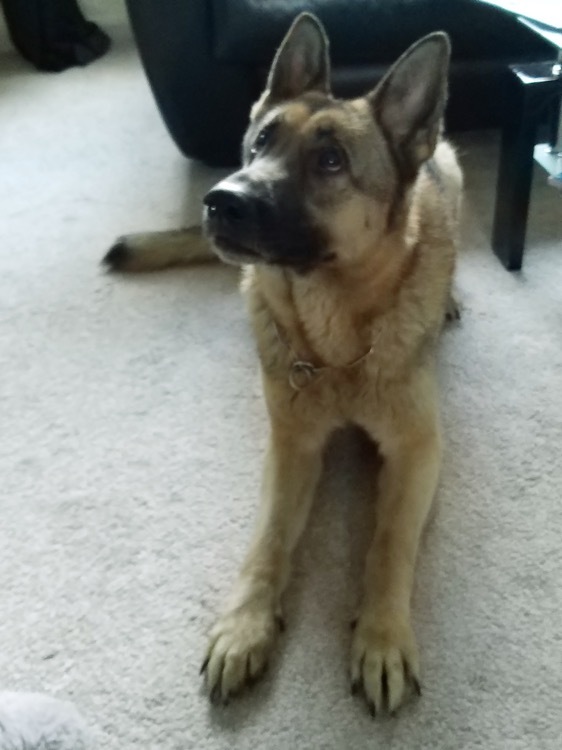 She has good basic obedience knowing sit, down and “how do you do” for her paw. She is sociable with people although can jump up, she is used to young children visiting and is fine with them. Although Candy has previously lived with a dog he arrived as a puppy so she was quite tolerant of him but she will bark at dogs out and about so is looking for a home as an only dog. 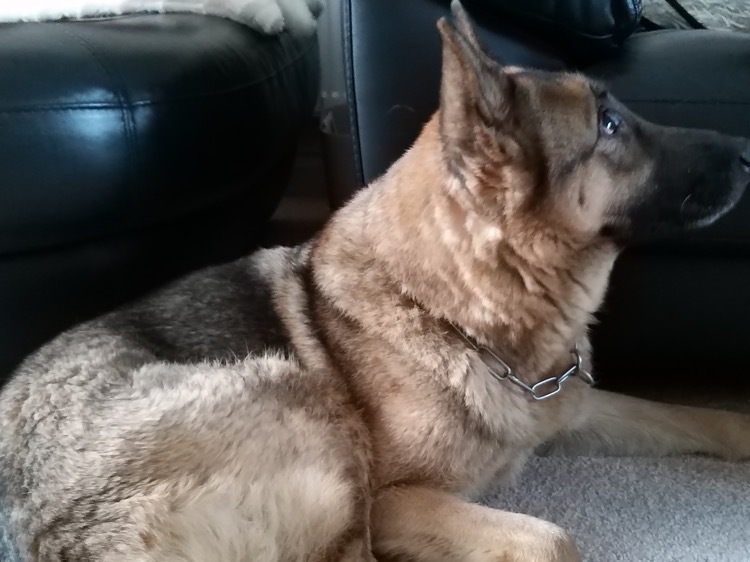 She will chase cats so isn’t able to be homed with them. Candy loves to swim so would like a home where she can indulge her water dog tendencies. She is happy to travel in the car but does whine when she is travelling. She’s fully housetrained and has no known medical issues. If you think you can offer Candy a home please use the links below.